via Engadget. 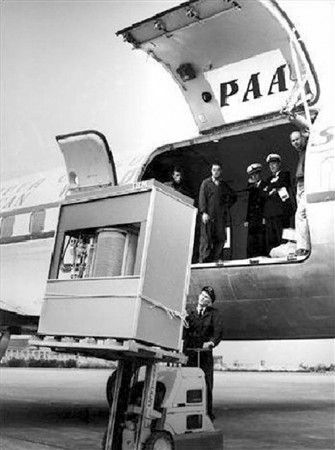 Pictured above is IBM’s 305 RAMAC (Random Access Method of Accounting and Control) hard disk. This hard disk drive was made of 50 24-inch discs stacked together, and could store a whopping 5mb of data! Oh yeh, it weighed nearly a ton and cost $35,000. What could you possibly hold on 5mb today!? One mp3?